GrabRewards is giving away Samsung Galaxy S9+! Samsung Galaxy S9+ or Gear Fit2 Pro could be yours! GrabRewards is giving away Samsung products! 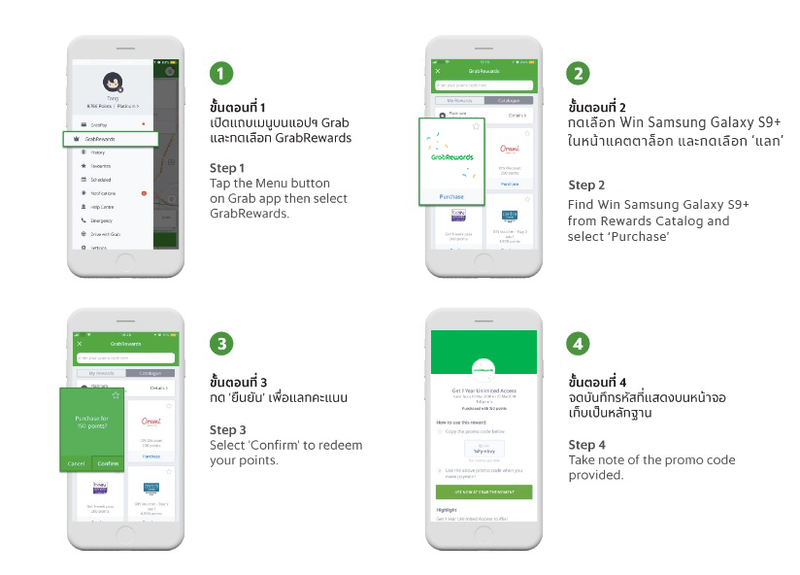 Just use your GrabRewards points to redeem this reward and you could be eligible to receive Samsung Galaxy S9+ 64 GB or Gear Fit2 Pro. The 1000th, 2000th, 3000th, 4000th redemption of the week will receive Samsung Gear Fit2 Pro. The 5000th redemption of the week will receive Samsung Galaxy S9+ 64GB. You can join in on the fun from 4 – 10 Jun 18. Winners announcement will be made on Thursday 28 Jun 18 via Grab Facebook Page. Stay tuned!